People say that the journey is beautiful than the destination. In the case of this road trip, the journey and the destination is equally beautiful. If you are someone who loves road trips, this journey is for you. If you are someone who loves adventure, this journey is for you. If you are someone who has never been on a road trip, this journey is definitely for you. In the past few years, for obvious reasons, the route from Bangalore to Leh, Ladakh has been very famous. 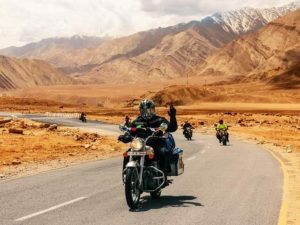 It has to do everything with the large population of Bangalore being in love with bike rides and Ladakh being an ultimate destination for bikers in India. Also, statistically speaking you get a lot of traction on your social media posts on a classic bike, Ladakh roads or a picture of your road trip. Imagine its impact if all of these would be combined. Each and everyone on your follower list would be so jealous. Wouldn’t you love that? We sure you would. Who knows, you might inspire a one or two to plan a road trip for themselves! So, here we go, presenting a guide for you to follow when you embark on this exciting journey! The first rule for visiting Ladakh is always being aware of the weather conditions there. Ladakh, the land of high passes, is renowned for its fickle-minded weather conditions. Considering technology, internet and communication is a little weak up there, you must be absolutely aware of what you are stepping into. We don’t mean to startle you, but being safe is always the first step towards having fun. Don’t let anyone tell you otherwise. Remember to gear up well, with your winter clothes, jackets, gloves, helmet and other safety gear. 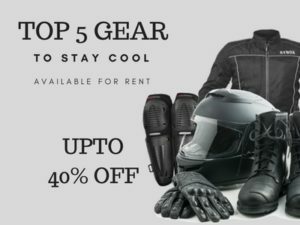 Your trustworthy bike rental in Bangalore will advise you on this! Travel light, but travel right. You would be taking the Srinagar route, so expect a lot of chilly winds and extreme weather conditions. 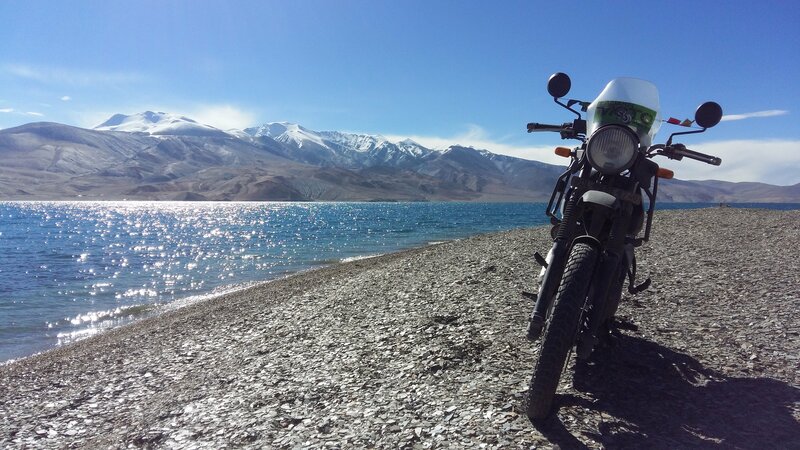 The second rule of taking a road trip to Ladakh is knowing your routes, pretty well. You start your journey on NH44 or NH48, whichever is preferable for you and ride along the way with sanity, because the distance is 3000 kms which would roughly take you about 65- 70 hours, including the bathroom, lunch, stretching, oh-look-a-pretty-sunset-let-me-instagram-it breaks! So, as you commence on your journey, always remember your pit-stop states. For this route, it’s going to be Bangalore-Mumbai-Jodhpur-Amritsar-Srinagar. The first few hundreds kilometres would be you just admiring the city landscapes and battling pollution, but as you leave the city behind, the true flavours of the journey can be enjoyed. As you speed up, you will cross small villages, tempting dhabas (don’t forget to make a stop on one of the highway dhabas, they are truly the best). Majestic wildlife and 3000 miles later, you’d be in Srinagar. As we know, the beauty of this city is enchanting, you’d want to stay more and admire the beauty (you sure can if you have the time) but you have to make a move as soon as possible. 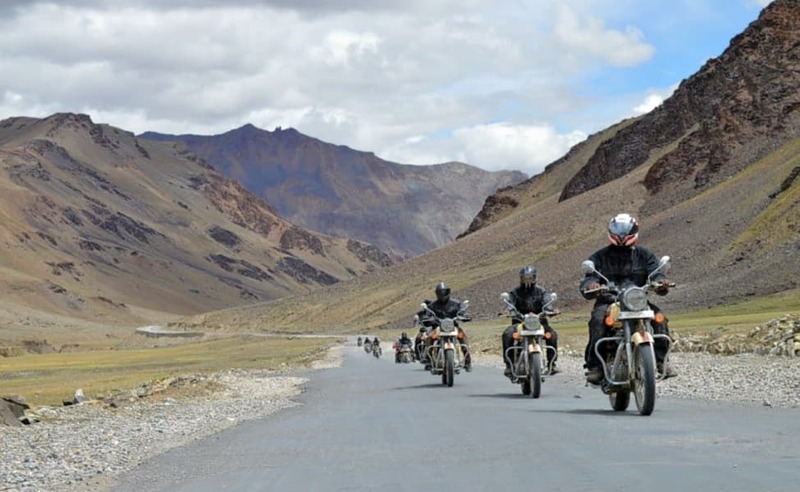 In the next phase of your journey, you’d be riding from the mesmerizing lanes of Srinagar to Kargil. You must bear this in mind that the roads are not great, but the view is. You have to take extra care of your bike, as a little off-roading won’t be really good for it. If it’s rented bike from Bangalore, we would advise you to stay on the good part of the road more. 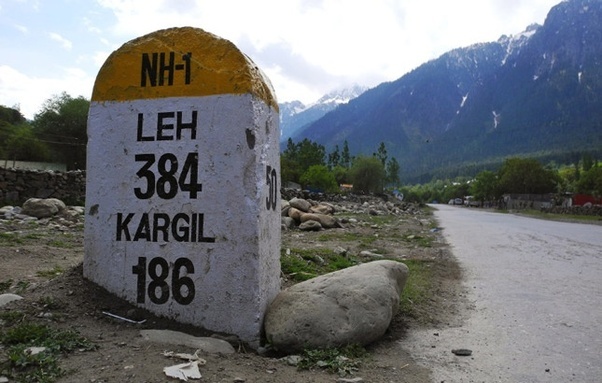 By taking the NH1 path, you’d have to ride for around 6 hours to reach Kargil. Take a night stop before this would be advisable as this phase is much more critical than the phase where you were crossing states on the highway. That’s it just 200 Kms worth of ride more and you’d be in Leh, the beautiful city of Leh, as its rightly called. Once you are in Leh, get a good night’s sleep, You deserve it. The next day and visit the monasteries, stare at the mountain for hours, rejuvenate by the beach or make your feet wet in the river. You’ve made it there, now it’s your time to make the most of every moment. The most famous places you can go to our Diskit Monastery, Magnetic Hill (Brake well here), Marka Valley, Pangong, Khardungla, Nubra Valley, pay your respect to the Indo-China border and seep in the fresh air of this alluring city, one last time. When it’s time to go back, the road will feel narrower, the distance would feel longer and the time would feel slower. We would suggest you take a different route (via Manali) to keep things interesting! Are you already sold on the idea? 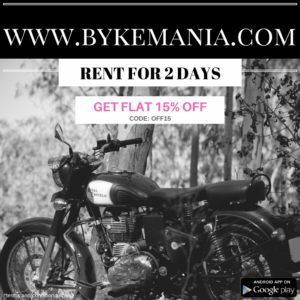 Then wait for the best season, find a perfect bike for you from Bykemania, Bangalore and ride along! Happy Journey! Previous PostPrevious Gear up to visit the seven most beautiful waterfalls in South India! Next PostNext Ride into new year with these kickass resolutions goals!